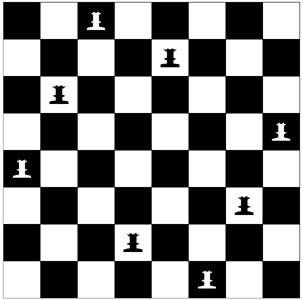 Put 8 queens on a chess board such that none of them are attacking any of the others. How many solutions are there? 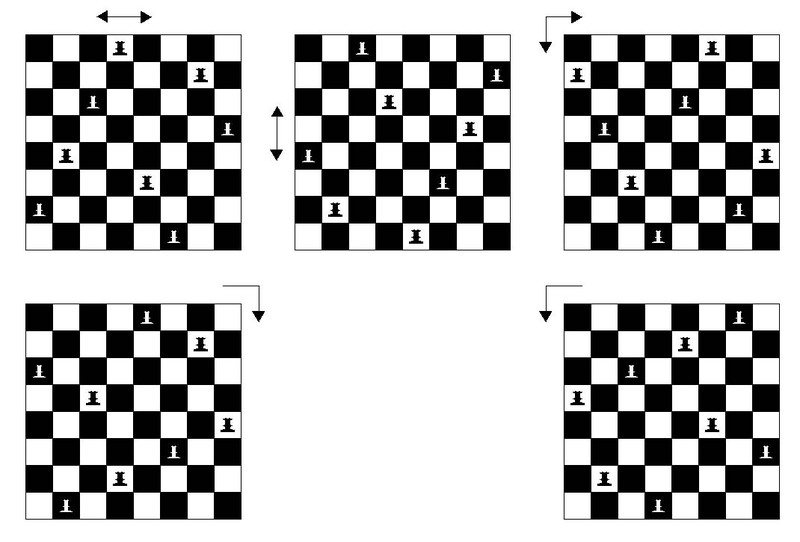 For each solution, there are reflective symmetries: left-right; top-bottom; left-right and top-bottom, and rotational symmetries: clockwise and counter-clockwise. What is the upper bound on the problem? There is no solution unless you think about the most recent move by Black that led to the current positions. The only move Black could have made to result in the current board is Black's pawn to B5 en passant. Thus White's first move is pawn to B6. 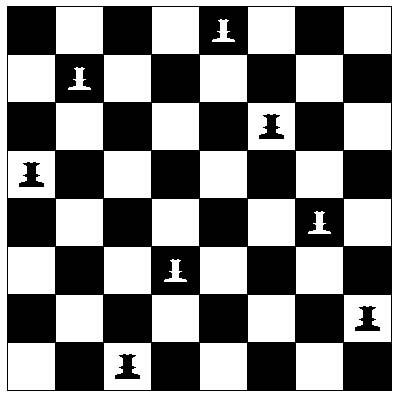 Black must move A6 to A5. 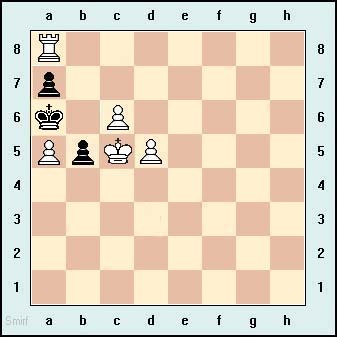 White moves A8 to A7, capturing the pawn and mate. Tonight's puzzles mostly deal with being pattern savvy. 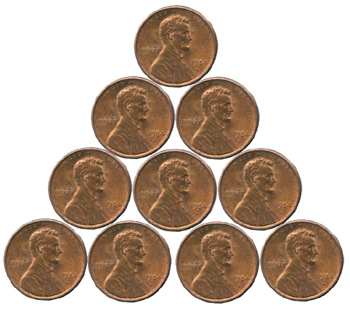 By moving just three coins, make the triangle point down. 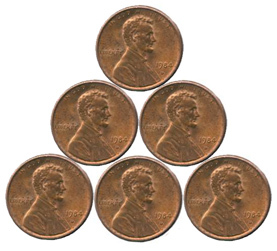 By making four slides, where a coin can only slide by rotating around another until it comes to rest, turn the triangle into a circle. 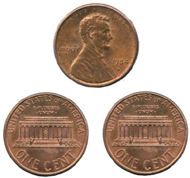 Arrange three coins in such a way that by flipping over two coins, three times, you end up with all three heads up. 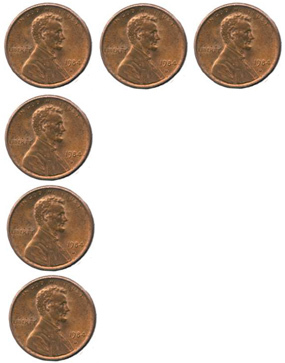 By moving just one coin, make two rows of four. 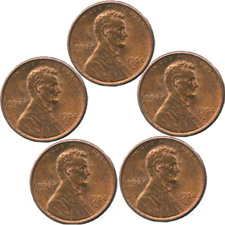 Arrange all five coins so that each one touches every other one. 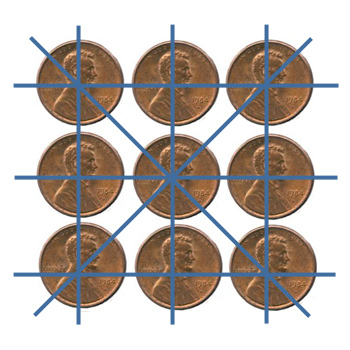 Moving two adjacent pennies at a time, group heads with head and tails with tails in just three moves, i.e., go from the top row configuration to the bottom row configuration. How many acute triangles do you need to cover the surface of a square? It may be easier to consider the problem of tiling an obtuse triangle. This puzzler is inspired by the seventeenth century French engineer and mathematician, Gerard Desargues. 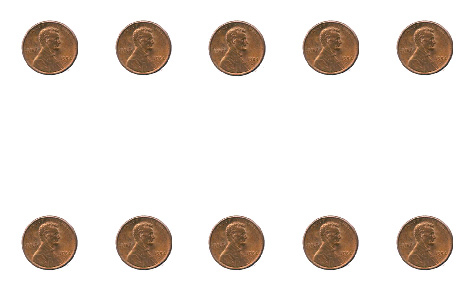 Using ten coins, make ten rows of three coins each. Do the same thing with only nine coins.